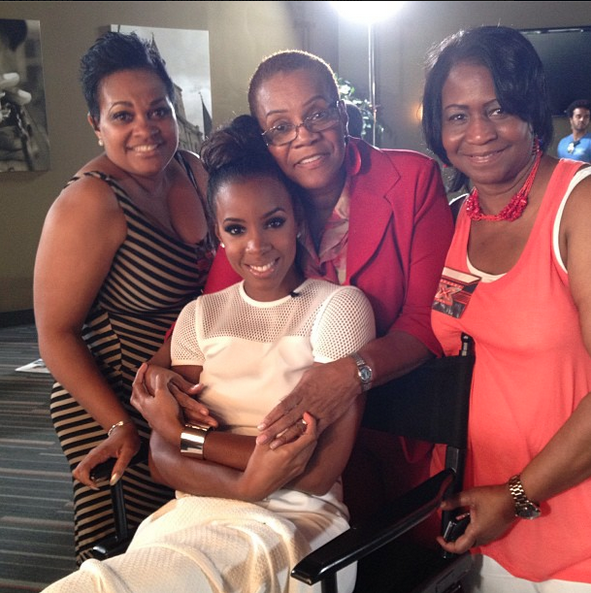 Former Destiny’s child star, Kelly Rowland who has always kept her family out of the spotlight has showcased members of her family as the set of XFactor. That is her mother behind her and her two aunties by the sides. What a lovely family she has. She must be really proud of them.